Back pain is one of the most common reasons for missed work and keeping us on the sidelines when we want to be active. In fact, it is estimated that up to 80% of the population will experience a problem with their back sometime during their lives. 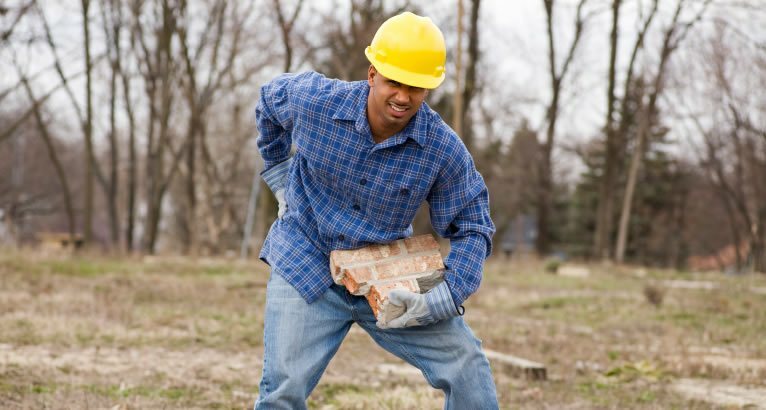 Injuries — Whether it’s occupational or recreational, repetitive movements or even one wrong move can leave you hurting. Arthritis — Causes may include degenerative changes from overuse, inheritance, and immune system dysfunction. Poor posture — This puts stress on your spine and may constrict blood vessels and nerves which can result in pain. Obesity — Excess weight=excess stress. When you carry excess weight especially around your middle, your pelvis is pulled forward and this causes strain on your low back. Stress — Anxiety and stress increase muscle tension which in turn increases pain. Conservative treatment is your first line of defense. Rest, ice or heat, and NSAIDS (non-steroidal anti-inflammatory drugs) such as ibuprofen, acetaminophen are what you should try in the first 24-48 hours. But as counterintuitive as it may seem, too much rest may make your back pain worse. Gentle exercise such as walking and stretching can relieve back pain. And, when you are feeling better, you need to do exercises that strengthen your back and core muscles. When standing, keep one foot slightly in front of the other, with your knees slightly bent. This position helps to take the pressure off your low back. Keep your head level. Your earlobes should be in line with your shoulders. Do not push your head forward, backward or to the side. If you must lift a heavy item, get someone to help you. Keep your knees slightly lower than your hips, with your head up and back straight. Never sleep in a position that causes a portion of your spine to hurt. Most often, your body will tell you what position is best. When texting, bring your arms up in front of your eyes so that you don’t need to look down to see the screen. When using a computer or mobile device, look down with your eyes, and if you wear glasses, make sure you also can scan the entire screen without moving your head. When sitting at a device, make sure your feet are firmly flat on the floor or footrest with your knees lower than your hips. Make sure you can use the device without reaching. Never pinch the phone between your ear and shoulder. Use a headset to reduce shoulder strain. Just remember, the Family Health Clinic cares about your aching back as well as the rest of you. Call or come by today. We can help diagnose and treat back pain as well as most other health conditions. We are open Monday—Friday, 8 a.m. to 4:30 p.m. Call (618) 468-6800 for more information. We are conveniently located in Fobes 1525. 1. Rubin Dl. Epidemiology and Risk Factors for Spine Pain. Neurol Clin. 2007; May;25(2):353-71.